I didn’t realize how much fun this is. Now I know and I’m a bit obsessed. I have multiple future projects planned of various shapes. (Already!) 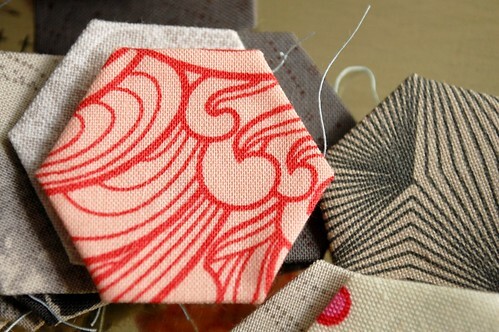 But for now, I am quickly filling a little tin full of these tiny hexagons. For size reference, each side of these hexagons measures .75″. hey, that’s what i was going to say! 🙂 wow! tiny! I would love a bunch of these for my mixed media project!